Polylab volumetric flasks, blown in polypropylene, are strong, unbreakable and have good contact clarity. These autoclavable flasks are provided with screw caps to prevent leakage. Made of Polypropylene, these cone shaped flasks are rigid, translucent & autoclavable. The screw cap keeps the contents of the flask contamination free and makes the flask leakproof. Threads should be disengaged before autoclaving. 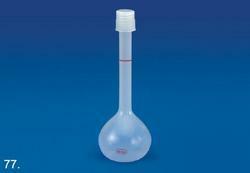 We offer Baffled Flasks, GL 45. 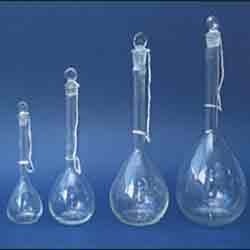 To cater the variegated needs of our esteemed customers, we are highly engaged in offering a wide array of Volumetric Flask.